A UAE-based entertainment provider wanted to see the customer behaviour on their site. The client had a challenge due to decline in online sales and needed customer insight to know the reason. 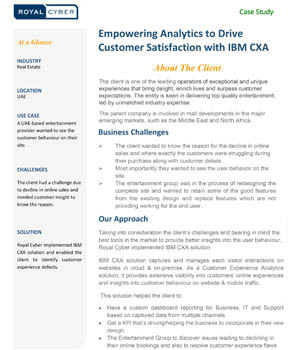 Royal Cyber implemented IBM CXA solution and enabled the client to identify customer experience defects.